MONDAY, Jan. 25, 2016 (HealthDay News) -- Heart attacks in women often have different causes and symptoms than those in men, and they're deadlier, too. That's the premise of a scientific statement from the American Heart Association (AHA) that hopes to raise awareness about key differences in heart attack indicators and treatment in women. Women who don't recognize their heart attack symptoms won't seek needed medical care, said Dr. Gregg Fonarow, professor of cardiology at the University of California, Los Angeles. "These delays in care contribute to higher mortality rates experienced by women, particularly younger women," he said. Worldwide, cardiovascular disease is the leading cause of death for women. 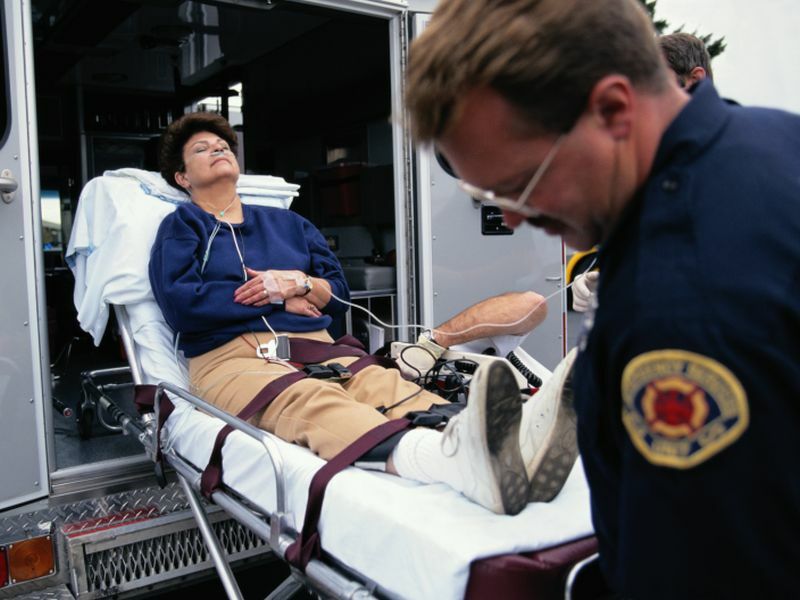 Since 1984 in the United States, heart attack survival has improved for women. But the heart death rates among women still outpace heart deaths in men, according to the AHA statement. The new statement reviews current scientific evidence, points out gaps in knowledge and discusses the need for more research in women, said Dr. Laxmi Mehta. She is chair of the statement writing group and director of the Women's Cardiovascular Health Program at Ohio State University Medical Center. Mehta knows firsthand the dangers that heart disease pose to women. "I was inspired to write this [statement] as both my grandmothers died from heart attacks at age 60 and had presented with atypical [not typical] symptoms," she said. Plaque buildup in the arteries -- a frequent cause of heart attack -- can differ between the sexes. Women are less likely to need stenting to open a blocked artery, but they still suffer blood vessel damage that reduces blood flow to the heart, causing a heart attack. High blood pressure is a stronger risk factor for women than for men. And diabetes raises a young woman's heart disease risk up to five times higher compared to young men. Guideline-recommended medications are underused in women, compared to men, and women are referred less often for cardiac rehabilitation. When they are referred, they are less likely than men to go or to finish it. For men and women, chest pain or discomfort is the most common heart attack symptom, but women are more likely to report shortness of breath, back or jaw pain, and nausea and vomiting. Black women of any age have a higher incidence of heart attacks than white women. And black and Hispanic women have more risk factors such as obesity, diabetes and high blood pressure at the time of heart attack compared to white women. The new statement "provides a comprehensive review of current knowledge and key directions needed to further reduce death and disability," said Fonarow. This new AHA statement was needed, agreed Dr. Suzanne Steinbaum, director of Women's Heart Health at Lenox Hill Hospital in New York City. "It is time that both the medical community and women address these issues and understand that open communication and awareness are critical to changing these statistics," she said. Mehta stressed that women need to "know their numbers" -- including blood pressure, cholesterol, blood glucose, body mass index (BMI, a ratio of weight to height) and waist circumference. "Take action to keep these numbers in the normal ranges," she advised. "Lead an active, healthy lifestyle and be accountable for your decisions," she added. "This includes exercising on a regular basis, following a healthy diet and not smoking."